Wondering where you can buy vegan watches? Well, don't worry - we've done all the hard work and research for you. Keep reading to see our favorite places to get them and all of our guides on particular vegan watch styles. Below, we'll tell you about some of the most sought-after vegan watch options and styles hitting the virtual shelves. A big question you need to ask when shopping for a vegan watch is, "What's the strap made of?" Many are totally non-vegan leather, so you have to be cautious, especially if you don't have access to information like you usually do when you're searching online. Some watch straps are designed for specific kinds of watches, such as Apple Watches in different sizes and series. Others are pretty universal. You can find anything from sweat-resistant watch straps for working out to fancy watch straps for cocktail parties in vegan varieties. Especially on Amazon, there are plenty of options in soft vegan leather, shiny gold or silver, heavy-duty NATO nylon and flexible silicone. Asos is a great resource for checking in with what's trending with a good number of faux leather and nylon-based watch straps in anything from plain to animal print designs. And of course, Target has all different types of watch straps for different ages and aesthetics, many of which are made with synthetic materials. Check out our favorite vegan watch straps here. Finding a vegan Apple Watch band is sometimes a process that's less than straightforward, unless you know where to look. 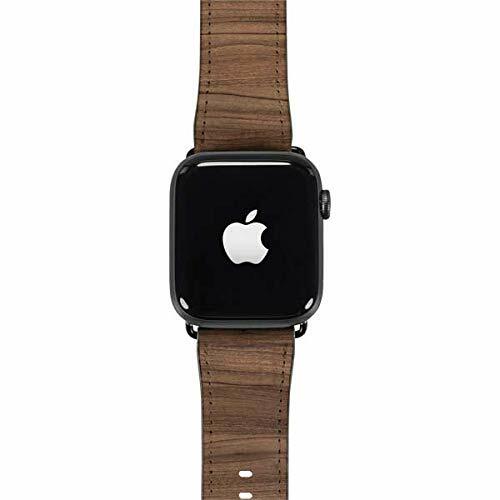 We've found that Amazon and Target carry the widest variety of stylish vegan Apple Watch bands from different brands. What type of vegan Apple Watch band you should buy depends on what sort of activities you need it for. Vegan leather makes very attractive watch bands for the office while gold-plated stainless steel can dress up your look for a night out. If you need your Apple Watch for your morning run or on a hike, a breathable nylon option can be best. Target sells an Apple Watch Sport Band made from a highly durable synthetic rubber called fluoroelastomer, which you'll find on our vegan Apple Watch bands guide. In general, whatever you're in the market for, you can find it in a vegan version on Amazon. Compare what different vendors have to offer with our list of vegan Apple Watch bands from 38mm to 44mm sizes. Check out our favorite vegan apple watch bands here. Wrap watches have never gone out of style, but they've recently reemerged on the fashion scene in chic and eclectic vibes. They're watches that wrap around your wrist at least twice, some wrapping around several times in layers. 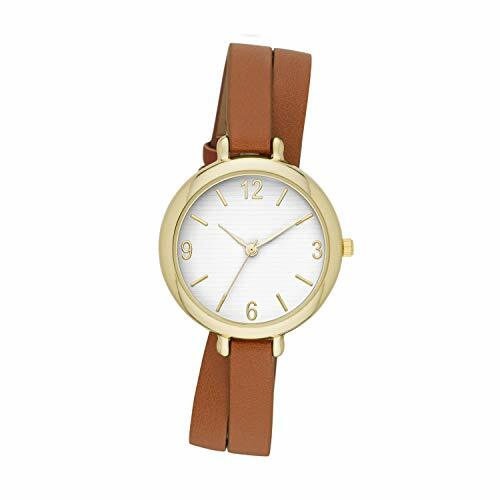 The vegan wrap watches we came across on Amazon, Nordstrom Rack and Target prove how versatile wrap watches can be. Some are casual, like the uber trendy jelly-style wrap watch we spotted from Swiss watch maker Swatch on Amazon, and some are downright glamorous, like the gold Just Cavalli cuff watch on sale right now at Nordstrom Rack. One of the benefits of a wrap watch is that it's like a hybrid of a watch strap and a bracelet, making it a unique piece to accessorize with no matter what you're wearing. Get a vegan wrap watch if you want to be able to rock the watch look in any setting. See other awesome vegan wrap watches here.